How does someone win freestyle skiing? Alpine skiing is fairly straightforward with the athlete who achieves the fastest time usually winning. But the daredevil sport of freestyle skiing is just a bit more complicated — or actually, a helluva lot more complicated. How a freestyle skier wins an event is almost as bonkers as the tricks that the athletes perform. So to prepare yourself for watching freestyle skiing at the 2018 PyeongChang Winter Olympics, here’s a breakdown of how the scoring works for this fascinating sport. Freestyle skiing is a pretty new sport to the Olympics with events being added as recently as the 2014 Sochi Winter Olympics. 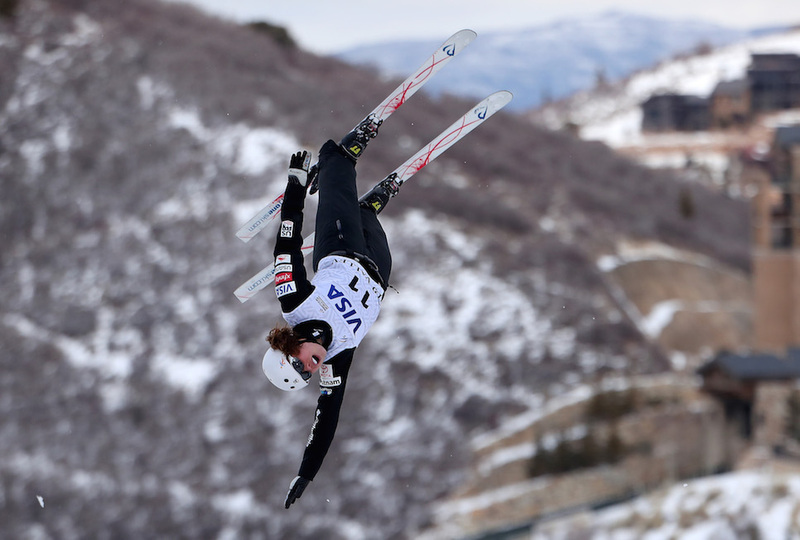 There are five different events in freestyle skiing so how the sport is judged is based on which event the athlete is competing in. While the skiers are wowing you with their intense tricks, the judges are tasked with determining a score. Like figure skating, the score is really up to the judge’s discretion. So we can’t say that you’ll fully understand how each event is scored after reading this, but it will definitely help you understand the scoring nature of this extreme sport. And for the sake of comprehending the following breakdowns, the word “jump” can refer to the ramps that the skiers launch off to perform their higher tricks in the air. So, without further ado, here is how each freestyle ski event will be judged at the PyeongChang Olympics. Incredible run from @troymurph of @TeamUSA! Moguls are little bumps on the slope that the athlete has to ski over and in 1994, it was the first freestyle skiing sport to be added to the Olympics. Twice in the mogul run, the skier will hit a jump and do a trick. The score is determined by turning technique, air maneuvers, and speed. With the turns being the most important component, there are five judges who evaluate the turns and only two judges who evaluate the air maneuvers. The final score is determined by the time plus the middle three turn judges’ scores (eliminating the top and bottom scores) and the average scores from the two air judges. For the aerials competition, skiers launch off jumps to perform amazing tricks in the air. Skiers can choose to do single, double, or triple jumps. To add to the difficulty, they can also add a full twist (one turn) or a double full twist (two turns). Five judges evaluate air performance, form, and landing with form — which is the style, execution, and accuracy of the trick — being the most important component. Because the skiers do different levels of difficulty, the difficulty score is multiplied by the total score. The total score is determined by the three middle scores from the judges. Like the moguls, the highest and lowest scores are excluded. Ski cross is kind of like motocross with skis instead of motorcycles. So think of the Disney Channel Original Movie Motocrossed to help you conceptualize this event that’s essentially a race full of obstacles. The scoring for ski cross is easy to understand. Four athletes compete at the same time and whoever finishes first comes in first. Ah, nice and simple. Halfpipes should be familiar to fans of skateboarding and snowboarding. For skiing, it’s the same idea with the athlete executing tricks along each side of the pipe. Five judges evaluate this event giving the skier a score of up to 100. The athletes are judged on height, turn, technique, and difficulty with the average dictating their final score. The skier does the halfpipe twice and the higher score decides their ranking. Like ski cross, slopestyle is a course. The skier performs tricks off obstacles like jumps and rails. The scoring for slopestyle is identical to the scoring for the halfpipe with five judges evaluating the performance on a scale of 1 to 100. The average is the final score and the athletes get to go twice with the highest score being the final one. How each athlete qualifies to enter the finals of these five events is equally as complicated as the judging. So while you might not completely get how someone ends up in the finals — or how the judging goes — you can still be incredibly impressed by the tricks that these freestyle skiers do when you watch them during the PyeongChang Olympics.